Alfred’s Premier Piano Course is designed with the young learner in mind. The course designers have a keen understanding of child psychology, and have created a fun and engaging course that will motivate all different types of learners. The course comes with Lessons Books and Theory Books. The Lesson Books are filled with new songs that you and your child will love to listen to and play time and time again. The pacing for the course was designed by people with years of experience teaching everyone from preschoolers to high school graduates, so techniques are introduced and compounded upon organically. The presentation in the book is as beautiful as the songs your child will be learning! Your child will, of course, learn note reading, rhythm reading and sight-reading; the book also features technical music lessons in order to improve hand coordination. The Theory Books are a wonderful accompaniment to the Lesson Books, and feature games, puzzles, listening exercises, flash cards and more. This is extraordinarily valuable, and one of the main reasons we choose Alfred’s system to teach piano; the Theory Book helps kinesthetic, visual and auditory learners to better grasp and retain the concepts learned in the Lesson Books. This system is designed for children between the ages of 6-12. One of the reasons the piano is so incredible is how many chord voicings it offers; you might think you know what a C chord is, but once you realize how many ways you can play it, it unlocks incredible insights into music. The Alfred’s Adult Basic Piano Course is for the beginner adult player who wants to learn chords for both hands. You’ll be able to play, rich, full-sounding songs in no time flat (though some notes might be! ); the lessons progress organically, so you’ll build upon the foundational knowledge you develop. You’ll be inspiring sing-alongs before you know it! This is the big-leagues, for experienced pianists only. Those who have reached this level know the prestige that comes with passing the Royal Conservatory exams; it takes diligence, hard-work, skill, technique and feeling to succeed. When you’re ready for this course, our teachers will make sure you’re ready to pass the exams; when you’ve completed the program, you might be teaching with us yourself some day soon! Music surrounds us; it’s emotionally resonant for children and adults alike. Words are used to describe an experience, by metaphor and simile. Music is the experience. The piano is one of the most ubiquitous instruments in Western culture. It’s influence is keenly felt, from Classical concertos to modern day pop songs. There’s a great number of reasons it’s been around for hundreds of years, and will likely remain relevant for hundreds more. Spanning 88 keys, the piano is a wonderful compositional tool, allowing for chord voicings and complex sequences that are unavailable in many other instruments. The use of both hands for playing notes is what’s so vital about the piano; many other instruments require a hand for strumming or bowing, which means less notes can be played simultaneously. When you love a song, you can learn it on the piano. It’s as simple as that. You can take the notes from the melody, and the bass, and any other elements of the song, transcribe them and then play them. The beautiful music you’ll make is reward enough on its own, let alone being able to join any group of musicians or bring life to family gatherings by accompanying sing-alongs. With the piano, the sky’s the limit. The best thing about learning a musical instrument is that it’s both fun and rewarding. When you love music, it’s always enjoyable to sit down and play, whether you’re learning your first song or writing your own masterpiece. Like any great passion, you might feel a range of emotions as you’re learning: at times frustration, then triumph. At times sadness, then exultation. At times boredom, then hours of playing without even realizing time has passed. The remarkable thing about learning an instrument is that as you feel these emotions, you’ll learn to channel them into your playing. Some notes will be so soft you could hear a pin drop, and you’ll await the next with baited breath. Sometimes your playing will be as loud as thunder, shaking you and anyone around out of a stupor and into the music. Piano is beautiful, and you can learn it. We have lessons for children and adults, because you should learn music at any and all ages. For children, the benefits of learning music are clear. They learn discipline and patience, while learning creativity and expanding their ways of thinking. Music is part math, part language, part feeling, so a child’s rational and emotional intelligence will be boosted by learning the piano. Playing in frontof teachers, parents or any other audience will boost their confidence. They’ll learn incredible feats of manual dexterity, skill and timing. Beyond all of this, learning the piano is fun! For adults, well…take everything we just said about children, and apply the same logic! Some folks feel like they’re too old to develop these same skills, but it’s absolutely not true. One of the best ways you can develop confidence, intelligence, emotional clarity and creativity is by making music, because you can really sink your teeth into it. Music resonates. We feel it with every bone in our body. It transcends language, and gives us the ability to communicate what’s in our hearts. You’ll feel so free when you play, you might forget how much you’re learning; that’s the joy of music. 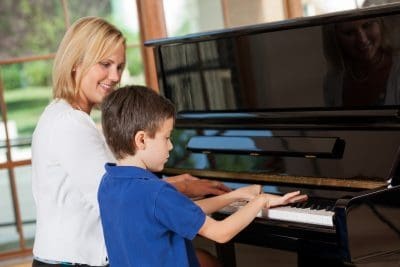 While both adults and children can benefit tremendously from learning the piano, we understand that they learn very differently. 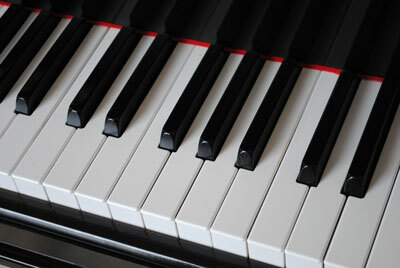 With that in mind, we offer 3 different piano courses, for piano students of all ages and skill levels.